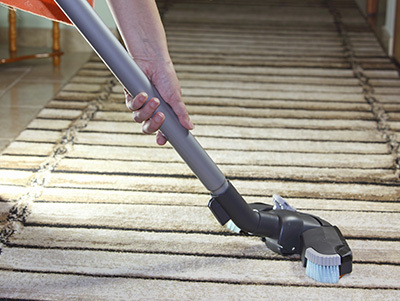 It is understandable that people tend to ignore the state of their carpets until they get too dirty to stand anymore. But residential carpet cleaning is not meant for just keeping your rugs fresh. Behind the fibers of every rug, there lurks the potential danger of mold, especially if it is in a damp environment, or often wet itself. But aside from being somewhat of an eyesore, there are a few very good health reasons to keep an eye out for spots of mold or mildew, and get rid of them as soon as they rear themselves. So let's start by talking about where carpet mold comes from. All types of mold are a fungus,a living organism which needs water and strives to grow and flourish within its own capacity. This is not great news for carpet owners who live in a damp climate, or have areas in their houses that flood or are damp regularly. Mold damage is likely to be strong in these types of environments, and so keeping as much airflow and sunlight where your rug is at is a great way to help ensure this doesn’t happen. But why should you be keeping mold and mildew out of your carpets? Well, here are just a few, and they are all related to the health of you, your family or your house and office mates. These are some of the most common types of molds, and in general don't affect people who don't already have any sensitivities to respiratory disorders. As the name suggests, they bring about allergic reactions in some people, particularly those who suffer from asthma. In small quantities they pose no real danger to healthy individuals, but as a moldy patch grows, it becomes more likely to have negative effects on those who breathe in their spores. Conducting regular mold and mildew inspection is important if you don't want the problem getting too bad. Pathogenic molds cause severe infections in healthy and sick people as they attach themselves to and grow in human tissue. These types of mold can cause havoc by causing skin irritations, or even infecting a persons' lungs when the spores gather there and begin to grow on the tissue. Pathogenic molds have even been known to affect the brain in some rare cases, but the most likely non-respiratory disease you're likely to get from them is athlete's foot, and other similar fungal infections like ring-worm, which can be nearly impossible to treat. It's best not to tackle this sort of fungus without the right equipment, less you are infected. 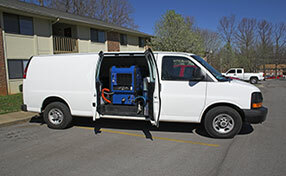 So getting some professional carpet cleaning is the best and safest option for removing pathogenic molds. This type of mold typically has the most adverse effects on humans and pets, and will cause severe internal and external irritations and illnesses when they are made contact with. This aggressive type of mold has been linked to neurological disorders, sever skin irritations and even cancer. Mycotoxins from this mold are stored in spores, which makes them easy to breathe in accidentally and makes it even more dangerous. This also means that cleaning is not always affective when done unprofessionally. But the dangers of this fungus means that a person should never ever attempt to clean it themselves. 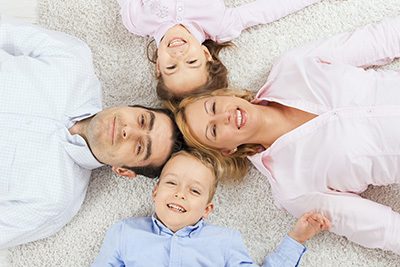 It is far wiser and safer to use a company that specializes in carpet maintenance. Hopefully this has given you a much better idea of the kinds of molds you can find in your carpets, how they get there, and what you should do to get them removed as soon as possible. Molds are not just an eyesore, they are dangerous and should not go ignored. For more advice on identifying and ridding your carpets of mold, contact "Carpet Cleaning Castaic" for more advice and professional mold removing services.